The Kentucky Derby may be the greatest two minutes in sports, but at Churchill Downs on Saturday, the competition parading in the stands could give the thoroughbreds a run for their money. From towering hat designs festooned with ribbons to delicate fascinators, the modern taste for the Derby's trademark accessory has spawned contests at parties, and given business a boost for milliners. Although the annual battle for the Derby's most eye-catching hat has taken on a life of its own in recent decades, the tradition of wearing one to the race traces back to day one, says Kentucky Derby Museum curator Chris Goodlett. When Meriweather Lewis Clark Jr., the grandson of legendary explorer William Clark of the Lewis and Clark expedition, founded the Kentucky Derby, he wanted to bring elegance and class to American horse racing, inspired by the grand races of London and Paris. Jimmy Fallon welcomes back his panel of puppies to predict the results of the 141st Kentucky Derby. Defying social norms that excluded women from places men were gambling, he marketed his race to the fashionable upper crust. That meant women appeared front and center at the races, dressed in stylish clothes, shoes and — the centerpiece of the wardrobe — a dashing hat. 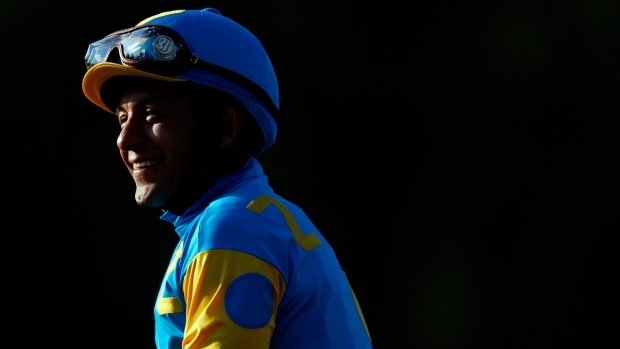 "The presence of ladies in the grandstand added great splendor to the racing scene," Goodlett said. "News articles in 1875 make reference to the dress of the ladies, with specific mention of hats." Eventually, in the 1960s, women began wearing larger and more extravagant hats, the better to be seen in the stands on television. 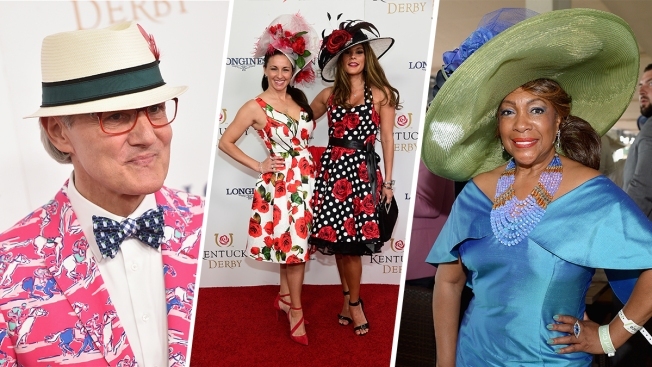 What began as an elite custom morphed into a grand show of symbolic reverence, as the Derby played host to some of the most diverse displays of head wear worldwide. Today, the annual Run for the Roses can be the backbone of many milliners', or women's hatmakers, shops every year, with business booming in the April run-up to the big event. "When I first opened the boutique, I made one or two hats for the Derby," said milliner Linda Pagan, who owns The Hat Shop in New York and has been creating one-of-a-kind Derby hats for close to 20 years. "Now, it is the biggest month of our year." The process of custom-making a hat is labor-intensive, and a Derby hat can take weeks to create. Many of Pagan’s clients start shopping for the perfect Derby hat as early as January, especially those who plan on wearing a grandiose wide-brim headpiece. 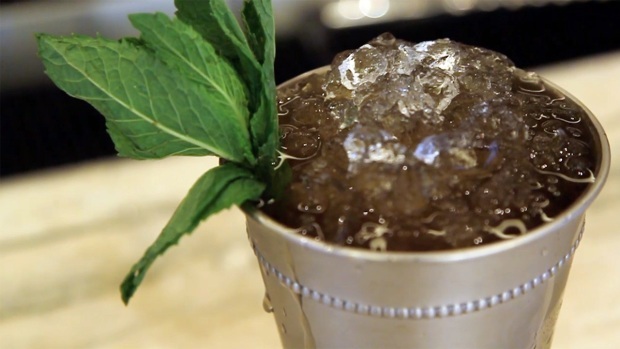 How to make the official drink of the Kentucky Derby, the Mint Julep. Celebrating the Derby in style doesn't have to mean an enormous hat, though. There's also the fascinator, a sort of cross between a miniature hat and a hair accessory, embellished with feathers, flowers, beads or lace and perched on the side of a woman's head, in a style that Kate, the Duchess of Cambridge, has made unmistakable. Philip Treacy, the famed Irish milliner who designed 36 hats for the royal wedding (including the infamous "Teletubby" one) and almost single-handedly revived the fascinator, has pronounced the style dead, to his delight, but it still has its fans at races stateside. The Louisville Courier-Journal's fashion editor Christine Fellingham estimates that a third of Derby-goers now wear fascinators. They're stylish, sure, but Pagan points out that they're also easy to wear, and transport. "Once upon a time, airlines use to have special sections on-board for storing hat boxes," Pagan notes. Now, due to ever-tougher luggage restrictions, "wild horse" shoppers who wait until the last stretch to score a hat may have to settle for a humble cocktail hat or fascinator. That modern-day practical consideration could keep fascinators a popular choice for the Derby's hat-donning ladies, just as wide-brimmed hats once were for Derby-goers hoping not to burn their fair skin in the blazing sun of the grandstands. Whatever hat a Derby fan chooses — whether it's off the rack or custom-made, awe-inspiringly elegant or gruesomely garish — Pagan says there's a key to finding the perfect one: "Confidence."